Not every knife can be a throwing knife. Throwing knives typically are weighted differently and designed to be lightweight, while focusing much of their weight forward into the point. This Black Spear Throwing Knife Set is a great example. 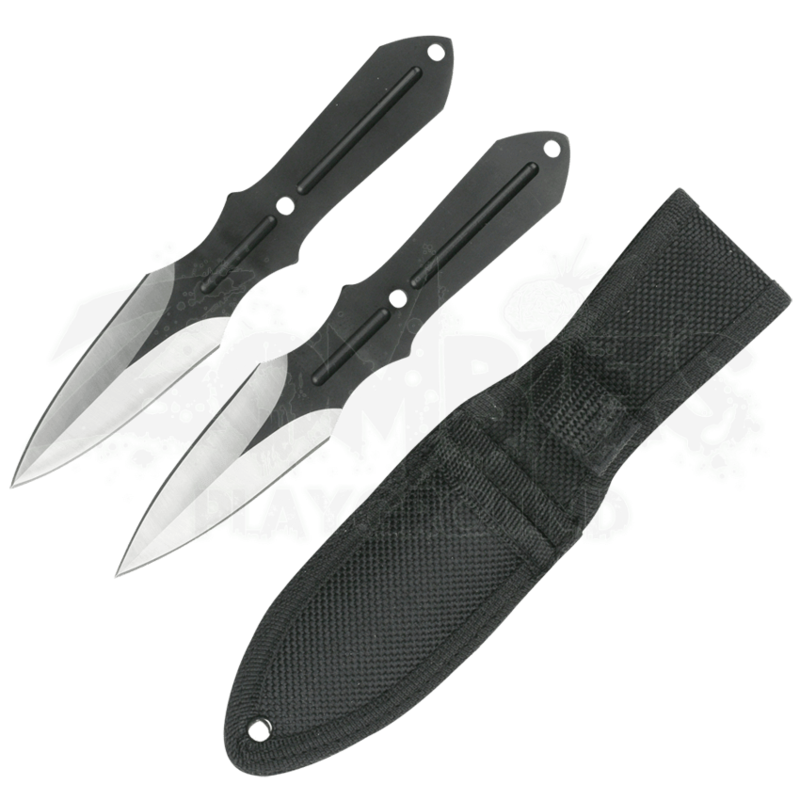 These throwing knives possess a sleek and simple shape that is designed for throwing, having been constructed entirely from a single piece of stainless steel. The spear-styled blade is attached to a simple, curved grip that is easy to hold and release. The blade is polished stainless steel, while the grip is blackened steel and features small cut-outs to help reduce weight and improve the throwing knifes look. The knife comes as a set of two blades, with each one possessing a 3-inch blade and an overall length of 7.3 inches. 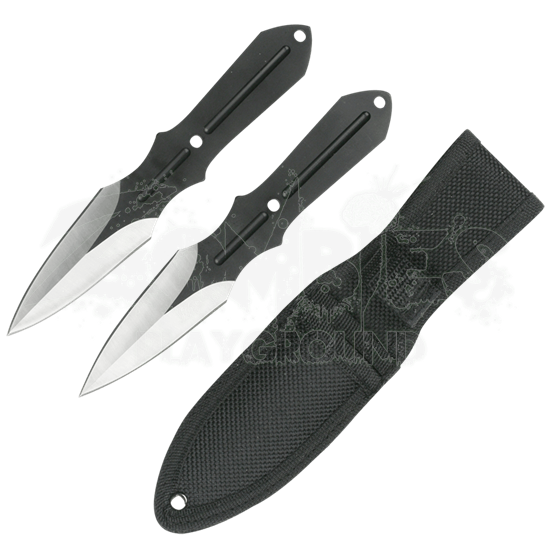 Included with the throwing knives is a nylon pouch for storing the two knives together. All it takes is a practiced flick of your wrist to send one of the blades from this Black Spear Throwing Knife Set down-range to embed it in a target of your choice.